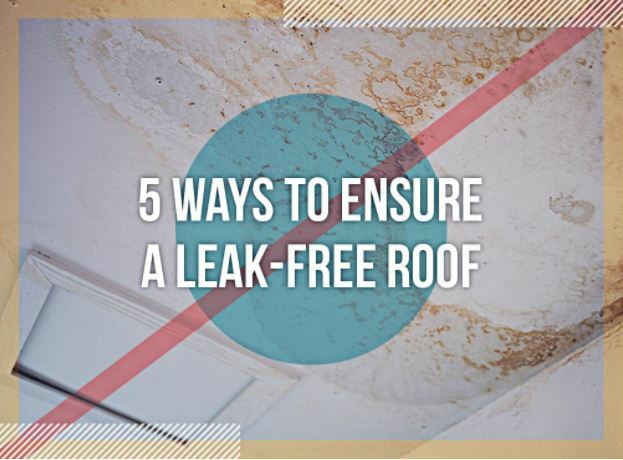 Check Your Ceiling: Go around the house, and check your ceilings for water stains, which are sure indicators of a leaky roof. There’s no need to climb into your attic to check the extent or source of the leak; knowing that there are stains is enough as leaks don’t flow straight down anyway. We can find the source for you – and fix it – when you call us to find the roof leak. Inspect Anything That Protrudes From Your Roof: You can safely inspect your roof from the ground using a quality pair of binoculars on a clear day. Pay special attention to anything that protrudes from your roof: plumbing vents, chimneys, and skylights. If you find anything that appears to be damaged, have it addressed by a professional roofer as soon as possible. Inspect the Drip Edges: Make it a point to inspect the drip edges for signs of damage or rot as rainwater can get into the roofing underlayment if left as is. Keep the Gutters Clean: A lot of homeowners consider gutters as an entirely separate system, but we consider gutters a part of the roofing system. After all, gutter problems have a direct effect on the roof. When checking your roof, include your gutters, and check for signs of wear, sagging, or rust. Make sure the gutters are clear from dirt and debris as clogged gutters can cause ice dams, allow flood water onto the fascia and into the attic, and allow water to collect around your house foundation. If your gutters are due to be replaced, consider upgrading to a seamless gutter system and adding a gutter protection system like Leaf Relief®. Check the Roof’s Overall Condition: Lastly, check the main roof area, and look out for punctures, signs of damage, and loose or missing shingles. Once you have your roofing problems addressed professionally, you’ll be given advice as to how often you should conduct a visual roofing inspection. By following your roofing professional’s advice, you can enjoy a leak-free roof for the rest of your roof’s life span. If you would like to know more about our services, including roofing and replacement windows, call Rogers Roofing today at (219) 228-8210 (Indiana) and (773) 492-2270 (Illinois), or fill out our contact form for a free roofing estimate. We serve many areas near Northwest Indiana, including Evergreen Park, IL, and Hammond, IN.